Saint Patrick’s Day is not merely a commercial holiday designed to sell green beer, party goods and corned beef, it is a cultural and religious holiday commemorating the arrival of Christianity in Ireland. Saint Patrick was a 5th Century Christian missionary, considered the primary Patron Saint of the island. You may follow the links to learn more via wikipedia. It was not my sole intention to give a history lesson, but to share my personal experience of walking some of the same ground walked by Pádraig. 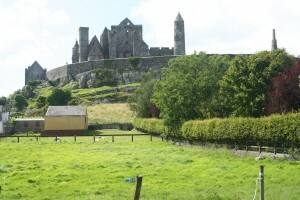 I was fortunate to be able to travel to Ireland in 2009 and one of the places I visited was The Rock of Cashel, a historic site in County Tipperary. 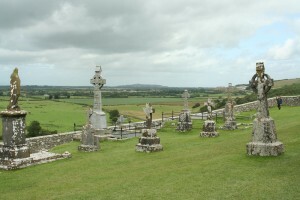 The site was the traditional seat of the Kings of Munster prior to the Norman Invasion and is reputed to be where the (then current) King of Munster was converted to Christianity by Saint Patrick in the 5th Century. The oldest buildings remaining on the site date from ca. 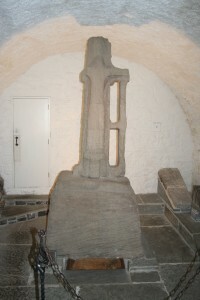 1100, though there is a cross there they call Saint Patrick’s Cross and it is said to date from the King’s conversion in the 5th century. I found this to be truly a beautiful place, and it gave me pause to think how many lives have intersected here. All photos are mine. You can click on each image to see a larger version. And so remember all who came before us and that Saint Patrick’s Day has been a long time in the making.